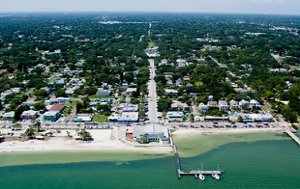 Our website features the best Gulfport real estate search for homes, condos, land and foreclosure properties available. It is the only site you will ever need! It is easy-to-use and updated by the official Realtor®’s database every 15 minutes. Gulfport sits on Boca Ciega Bay. 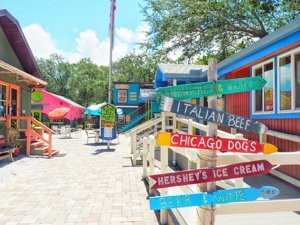 It has the Old Florida Feel with Brick lined street, a vibrant downtown area with restaurants and shops, a waterfront, and a historic casino that sits right on the waterfront. Its not actually a casino. Its a 10,000 square foot ballroom - built in the 1930's that has a full service bar, ballroom dancing, wedding receptions, and private parties. There are many craftsman bungalows and eclectic homes here. It is a very artistic city and there is always something to do. Kayaking, fishing, boating, swimming, shopping, entertainment, and a myriad of festivals throughout the year. Its proximity to the Gulf Beaches is also a major draw. A great community to live in - Gulfport has a very unique feel and a great sense of community. 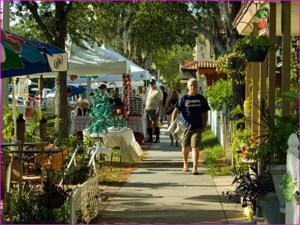 The downtown area on Beach Blvd has restaurants, shops, a post office and just about all you would expect from a quaint downtown area.